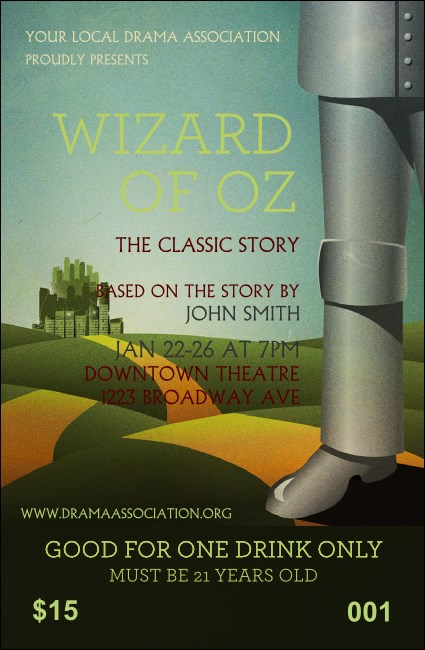 Help your intermission go from tornado-like chaos to no-place-like-home peace when you hand out the Wizard of Oz Drink Ticket. A blue sky sits over the elusive Emerald City, with the Tin Man standing up front, ready for the journey. Each ticket template is individually numbered for added security.